One of my favorite things about Furman is the ability to live on campus all four years of college. Over my first two years of college lived in dorms with one roommate and this last year and this year I upgraded to an apartment that I am sharing with 3 roommates! While I there is good and bad with each living situation I can say with confidence that so far this year (senior year) has been my favorite. 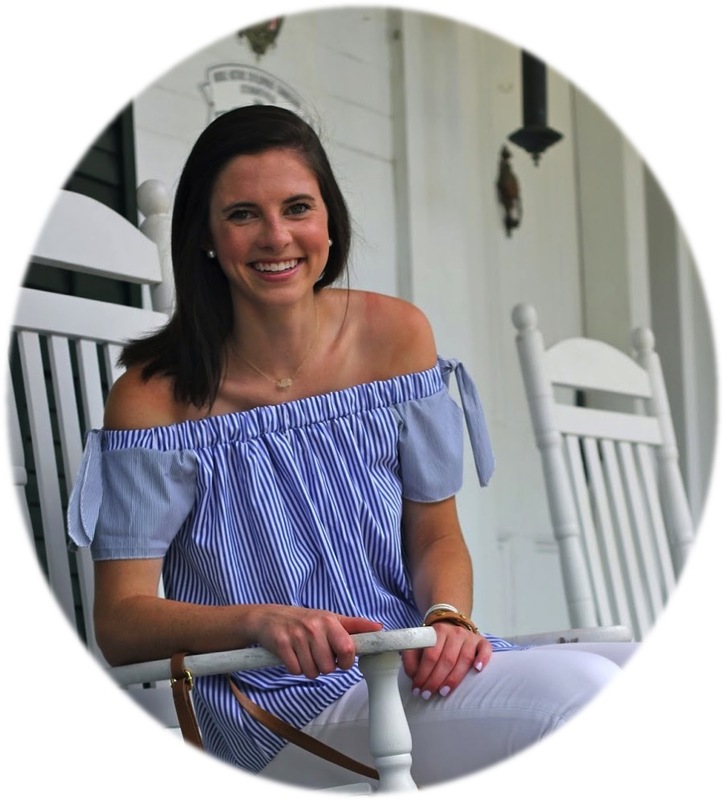 Even though we are a little less than a month in and you may be thinking this is the honeymoon phase the girls I live with all balance each other out and overall have very similar schedules and ideas of how to live together in a mutually beneficial way. Not to forget that these girls are some of my best friends, a major win in my book. You could say I have a bit of experience when it comes to living with other people so I thought it could be helpful for any of you new college students to share the tips I have to make your living situation comfortable and cooperative! 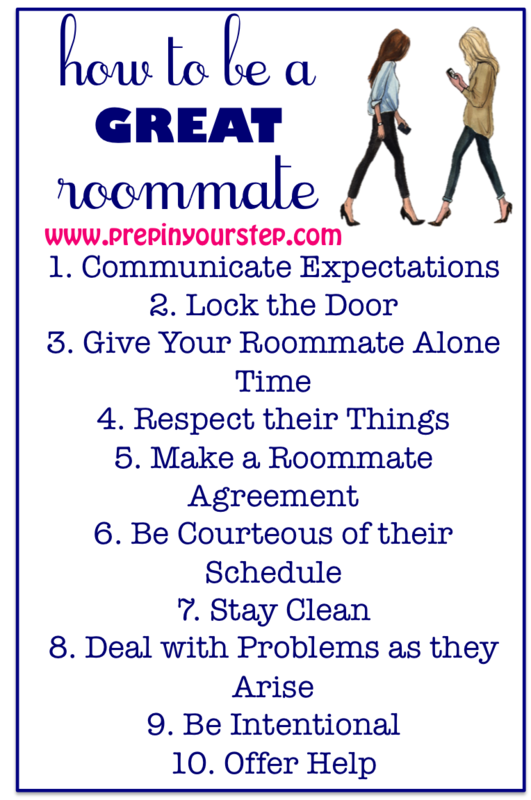 Even if you're not a freshman but want to make sure that you and your roommates are all on the same page these tips and the roommate contract included will certainly help to make sure that you can all live happily in your home together. 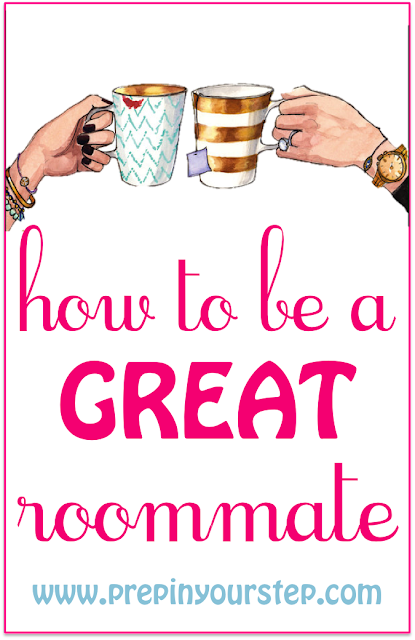 Although this year and last we all have our own rooms within the apartment we still have a great deal of shared space that needs to be respected so you can bet I'll be checking back on some of these tips myself to make sure that our living situation is a great one! 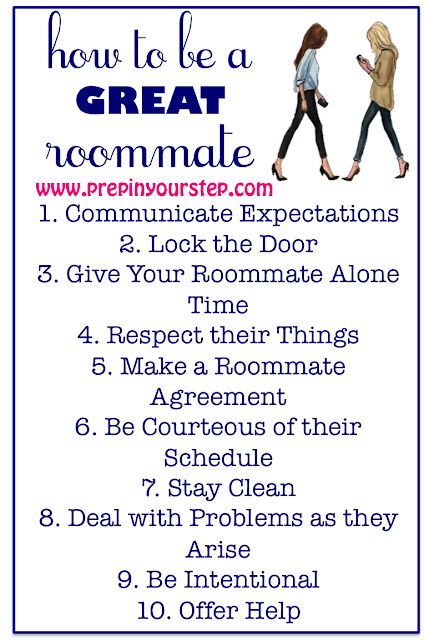 So as I talked about in number five, a roommate agreement or roommate contract is a great way to lay some of the ground work for how you and your roommate plan to live before the school year really kicks into high gear. Furman requires us to do one our freshman year and encourages it the following years. Freshman year our RA mediated the discussion which was incredibly helpful so I know that other years it is a bit less likely to be done because no one loves talking about potential conflicts with someone they are spending the year living with. While this may initially be uncomfortable it will be so beneficial in the long run. I've created a roommate contract example for y'all to use in case your school doesn't do this so that you know the questions to ask and since having a sheet of paper to guide the discussion can ensure that you stay on track. I created this based on the one Furman gave us but added in additional questions that I think could be helpful. Also, keep in mind that this is catered to people who live on campus and doesn't encompass discussions that you and your roommates should be having about rent, electricity, wifi, moving out, etc if you live in a place where you will be responsible for those things. I'd love to hear any other suggestions y'all may have to help make a living situation even better! Definitely agree with the alone time from your roommate. No matter how close you and your roommate may be, it's important to just have some quiet music playing and just work in silence. That roommate contract is perfect. I'm a senior in high school so I definitely will be saving this for next year- your roommate contract looks amazing!